“The Conversation” is a video series in which GaN Systems’ executives engage in conversation with leaders in industries that are being revolutionized as a result of changes in power technologies and power semiconductors. 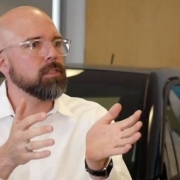 “The Mobility (R)Evolution”, with Jim Witham of GaN systems and Uwe Higgen of BMW i Ventures is three-part conversation within this series focused on the technology revolution underway in mobility – and it’s impact on electric and autonomous vehicles, charging networks and renewable energy sources, data centers, and manufacturing. 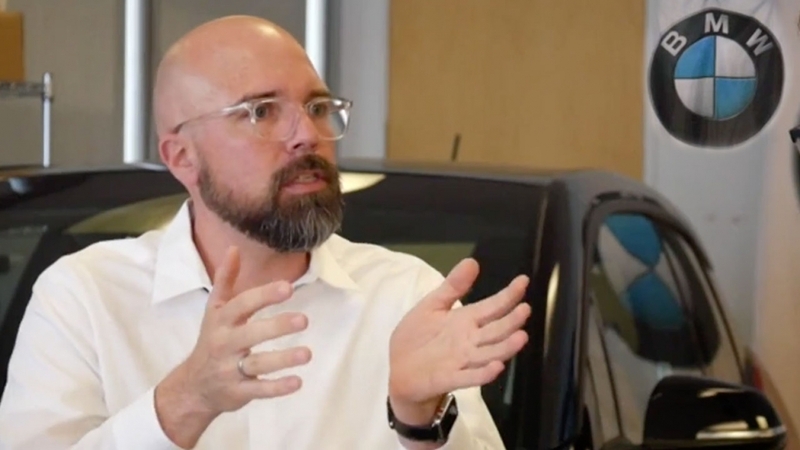 If you have not already watched it, the first video within this series, “The Mobility (R)Evolution- Part 1: Electric and Autonomous Vehicles”, is available here. Jim: The evolution of the sustainable mobility ecosystem certainly includes the electric vehicle (EV) and the autonomous vehicle (AV). There are many other elements needed in this ecosystem– including charging. People have range anxiety, or range angst, with EVs. How are new charging technologies and networks going to change that? Uwe: We have had cars around for more than 100 years. Multiple generations have adapted to the way we use this technology. We feel very comfortable with the internal combustion engine and gas stations where we need to stop and refuel every 400 miles. We do this even though we have no clue how that fueling infrastructure works. We don’t question it. With electric vehicles, it is about a completely new technology entering our habits. The fully built infrastructure is not there yet. Some things need to improve. One of these is overall capacity– meaning the power density and the range of an electric vehicle to overcome the range angst that people have and that prevents them from adopting it. We also have to have more efficient power conversion and to be able to provide energy recharging everywhere the technology needs it. I think minimizing the amount of time for recharging the vehicle enables much more freedom in planning around mobility needs. When you just need 10-20 minutes to recharge– the time it takes for a good cup of coffee – then you have the kind of freedom that people would love to have. Jim: So if the charging station is the gas station of the future, who owns it? Uwe: That is a really good question. Looking at this from the customer point of view, I want to have a charging station where I need it. It should not depend on the brand of the vehicle I am driving. So I think that car OEMs need to provide a technical solution that provides an awesome charging experience– and enables other businesses to build on top of that and be profitable. Jim: In previous conversations that we’ve had, you’ve also talked about the importance of renewable energy. If we continue to rely on petroleum-based fuel or nuclear plants, that doesn’t fit into the vision of the future that we talk about in regards to the electric vehicle. Uwe: If we continue to use “bad” energy sources – then we might improve the pollution situation in urban cities, but we will not solve the general pollution problem of the world. In order to solve the pollution problem holistically, we need to work on energy sources. We cannot just rely on the “optimization” of the vehicle. We need to work on the whole lifecycle of energy generation and production from wind and solar. With these kinds of renewable sources, there is always a conversion step needed to transport or save the energy. Jim: At GaN Systems, we do a lot of work with energy storage systems (ESS). GaN transistors are pretty much used across that industry (renewable energy) because of the need to go through the power electronics multiple times. That’s when conversion efficiency becomes really important– when you might be facing 2- 4 steps of power conversion. If you are up in the 99% efficiency rate that’s doable and sustainable. If you only have 85% or 90% conversion efficiency, you end up burning all your energy as heat. Uwe: I see a lot of benefits to having better technology for energy conversion. Because we are converting energy so many times before we use it, that becomes a significant part of the sustainability story around mobility. We have to have efficient power conversion.